Flat 37,010 off on Note 8.Flat 37,010 off on Note 8. The best phone Samsung has ever made till date. 6.3″ Super AMOLED ‘Infinity Display’. Fingerprint Sensor on Backside . One of the best Samsung phones ever with a huge display an incredibly fast processor camera quality could be better seems a little low for the price of the phone. Galaxy Note 8 is a massive phone with a screen size of more than 6 inches which is not just more than what you can hold but more than you can carry in your pockets too. All the features for the phone are great but it&apos;s expensive which is justified looking at the features being provided. Samsung galaxy Note 8 is the perfect phone for someone who has high quantities of multitasking to do as it provides an extremely fast processor. Camera quality is great. The screen size is huge which might be an issue did some people. 39 Pricebaba users have written their experience with Samsung Galaxy Note 8. If you own Samsung Galaxy Note 8, please do leave your feedback too. 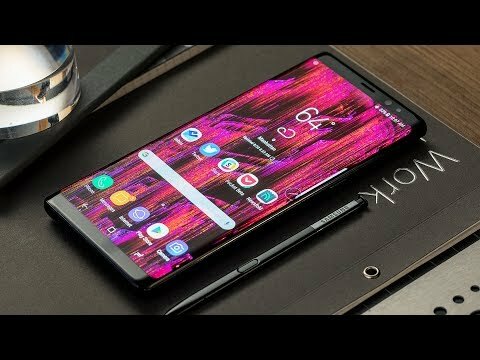 Lowest price of Samsung Galaxy Note 8 price in India starts at Rs. 36,990 Samsung Galaxy Note 8 is available on Flipkart at Rs. 36,990. Prices updated on 22nd April 2019. Samsung Galaxy Note 8 is an offering by South-Korean Giant Samsung in its 'Note' series. Check out all the details you need to know about the phone. The Samsung Galaxy Note 8 is well designed and looks good. It is available in the colours: Midnight Black and Maple Gold for the Indian market. Just like the Samsung Galaxy S8, the fingerprint scanner is positioned on the rear right beside the cameras which makes it a bit difficult to reach since it is a huge phone. The Galaxy Note 8 comes with an “Infinity Display” which indicates a huge display with minimum bezels in Samsung terminology. It has a 6.3-inch Quad-HD display which promises to provide a true multi-media experience. Galaxy Note 8's display ratio is 18.5:9. Since the display is AMOLED, the phone ensures a superior image sharpness and gives a good output. Galaxy Note 8 is IP68 certified which makes it water and dust resistant. Even the S-Pen provided with the phone is water resistant. The Galaxy Note 8 was Samsung’s first dual rear camera smartphone. The dual camera setup features a wide-angle lens which has an aperture of f/1.7 and another telephoto lens which comes with an f/2.4 aperture. The phone allows 2x optical zoom. Both the lenses on the smartphone feature optical image stabilisation. An 8-megapixel shooter is provided on the front for selfies. For excellent performance, the phone is powered by a Qualcomm Snapdragon 835 chipset. However, there are two variants of the phone and the other one comes with an Exynos processor. There is 6GB of RAM provided under the hood to allow a good multi-tasking experience without any hassles. Note 8 comes in three variants of internal storage: 64GB, 128GB, and 256GB. In case you need more storage, the phone also lets you expand it external with the help of a microSD slot. The Galaxy Note 8 comes with a 3300mAh battery which can be charged wirelessly. It also has fast charging support which will ensure that the phone charges up to a decent level in a very short time. For better connectivity, NFC and MST for Samsung Pay is included in the phone. It has USB Type-C port for charging. It also comes with a 3.5 mm headphone jack and Bluetooth 5.0, LTE Cat. 16, Wi-Fi: 802.11a/b/g/n/ac for wireless connections. Ans: This phone uses the USB Type-C charging connector. 4. Is this phone waterproof? Ans: Yes, the Samsung Galaxy Note 8 is IP68 certified, hence it is water and dust resistant.